May we present to you Disney’s newest heroine – Crown Princess Elena of Avalor. 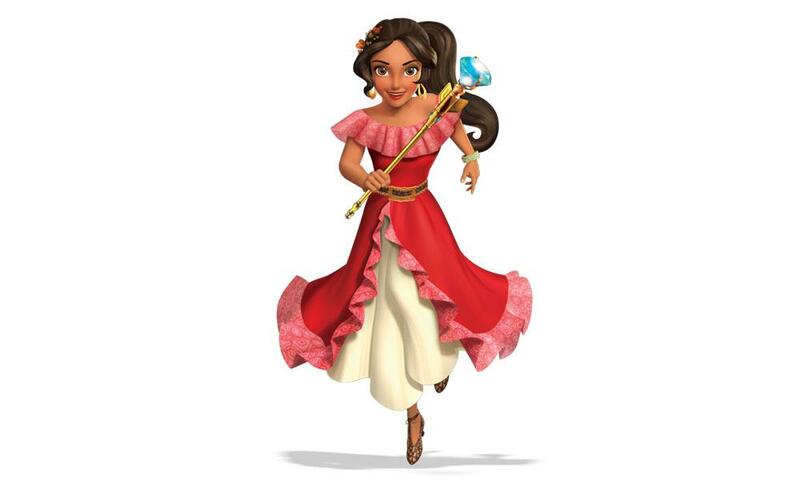 The spirited, adventurous princess made her debut this summer in Elena of Avalor, a new series on Disney Channel and Disney Junior and she is already ruling hearts across the land. Of course we love all the Disney Princesses. They’re kind and caring, graceful, beautiful and generous. They’ve had to overcome evil, jealousy and spite to make their dreams come true. But Crown Princess Elena is the first one with a mission to save her family and entire kingdom from an evil sorceress named Shuriki. Even though Elena is young, she has a Grand Council made up of close family and friends, available to advise her. She is ready to rule and fully accepts the responsibility that comes with her position. “Elena’s a young woman learning to lead and handle the responsibility of her family, friends and kingdom. It’s a very empowering role,” says show creator Craig Gerber. And Elena does it with such spirit, heart and humor—although she sometimes gets a little ahead of herself. That’s a big part of her charm in fact. “Elena thinks she’s ready to rule, and in many ways she is, but she still has a learning curve,” Gerber explains. Sound familiar? Anyone who remembers their teenage years—or has a teen at home right now—can relate. This November, audiences can follow Elena’s unforgettable journey on Disney Channel. The new Crown Princess will begin making appearances at Magic Kingdom® Park at Walt Disney World® Resort in August. Get a head start on Halloween by bringing home an Elena of Avalor costume and accessories from Disney Store and DisneyStore.com. Disney Visa Cardmembers save 10% on select merchandise purchases of $50 or more at Disney Store and DisneyStore.com.1 Not a Cardmember? See the rewards and perks that having a Card can bring to your kingdom.